Cardano has successfully released its 1.5 mainnet which marks a big step towards proof-of-stake consensus. The update also brings a number of optimizations mainly focused around the crypto wallet Daedalus, according to the announcement. Cardano released its mainnet on March 21, marking the final stage of the project’s “Byron” phase of development with the second phase, Shelly, already in the pipeline. The update also includes performance improvements when rendering lists with a large number of transactions and wallet addresses, the addition of features for detecting insufficient disk space, and a new screen that visualizes the block storage consolidation process. 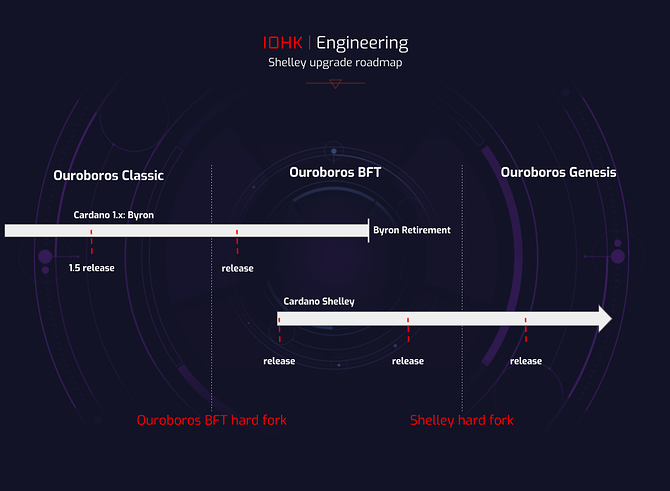 The update is significant because it introduces Ouroboros BFT, the new consensus protocol. This will be activated through a separate update and will replace Ouroboros Classic until the implementation of Ourboros Genesis, designed for Shelly. The Genesis mechanism combines the advantages of Proof-of-Stake with Proof-of-Work systems. The announcement caused a 5% spike in the price of Cardano. At the time of writing, Cardano is up over 7% trading at $0.057. How likely are you to invest in Cardano? What will it be for Bitcoin? $4,600 or $6,800?